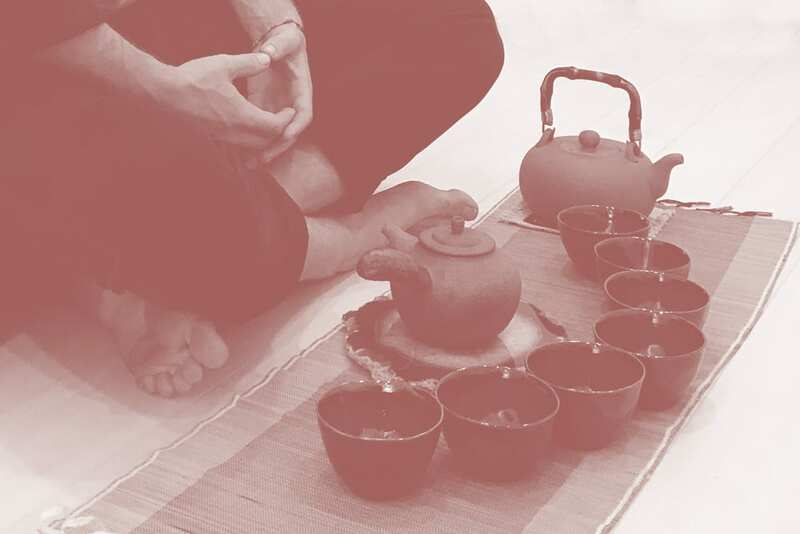 The tea ceremony is a 1-hour meditation and talk by Darren Becket and facilitated by organic fair trade aged tea, imported from aboriginal areas in Asia. To drink tea alone can be a wonderful and introspective journey; a meditation on beauty through the synergies of flavor, smell, and taste. To drink tea among friends under the right circumstances magnifies the sensations of the tea, making it easier to see the beauty that it has to offer. This immersive experience harbors a deep awareness and center of being. Together we will create more peace, have a better understanding of self, and practice meditation. Living as Fine Art is by definition a way of living in which we know ourselves better. It enables us to make better choices that produce more success, happiness and health. The teas we will serve are of the highest quality ceremonial grade, and are harvested from wild, old growth tea plants. To experience these teas is an honor and a unique experience.